the serverless school: Should your school take the SaaS Challenge? Should your school take the SaaS Challenge? The teaching of computing in schools has become a hot topic recently. Its ‘phoenix’ like resurgence from the rotting corpse that was ICT Studies is part of an attempt to address the digital skills shortage that many countries face. For this reason the emphasis has moved towards practical development skills such networking and coding rather than application skills (MS Office) and GUI navigation (MS Windows). In the UK, coding and computational thinking are already part of the core curriculum and Australia and New Zealand are moving in the same direction. Like all good intentions there are aspects of the plan that are problematic such as teacher training and PD and you would also expect the cost of the technical infrastructure to be a stumbling block. After all, the last time something like this was attempted in the UK it was part of the Computer Literacy Project (1981-84) which resulted in about 80% of schools receiving a government subsidised computer (the BBC Micro). 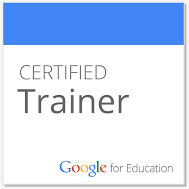 Of course in 2016 many schools have an ICT suite that can fulfil this requirement but having a computer suite to support learning is different to it being a vital part of the core curriculum for the whole school. Step up to the plate SaaS (Software as a Service). It’s significant that the technical framework for this initiative has been largely met by SaaS resources that have been adopted with a minimum of fuss (and cost). For some teachers this may be the first time they have encountered SaaS, possibly under the guise of an ‘online resource to aid learning’ and by now they're probably wondering why all software isn't delivered in this way. After all it's secure, engaging, easy to use, always on and constantly improving and remind me again - what exactly was the alternative plan ? Blow the dust off a PC that’s linked directly to your internal network, install a suite of development and scripting tools and then place it in the hands of technically competent and naturally curious children and adolescents. Great idea, what could possibly go wrong! After overcoming that hurdle you still have all the normal drawbacks when running local services. Set a task that the students can complete at home - forget it. Waiting for VDI to solve the problem- please don't tell me you're even considering this. Running out of storage space - ask the students to delete some stuff. The software is throwing up an strange error or you need a new feature - log a call with the support team. They're on-site Mondays and Thursdays. Adopting SaaS is clearly a superior approach and one far more suited to modern computing practice. 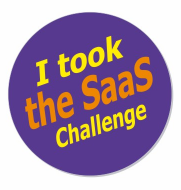 So why not use this opportunity to take the SaaS challenge? Take a timeout to reassess the range of applications you are using for learning and see whether there is a SaaS alternative. You might be surprised at the capabilities of some of the offerings and the advantages they offer. Try them with your students. There is no barrier to entry and you've got nothing to loose. Just like the advert, I can't believe it's not better!